SIZE: clothes length :105 cm( 41.34 inch) ,Shoulder width:59 cm(23.23 inch). Made of cotton,is soft and warm. Absorb sweat breathe freely. Soft fabric, thick warm, skin-friendly non-stimulating. Let you sleep more comfortable at night. This pajamas fabric soft,as a bathrobe home clothes, pajamas, sweat steaming clothes, beautiful and comfortable. Fashion patterned designed,is perfect sleepwear of women. Ships from Hong Kong. SIZE: clothes length :105 cm( 41.34 inch) ,Shoulder width:59 cm(23.23 inch). Made of cotton double - layer cotton yarn ,is soft and warm.Absorb sweat breathe freely. Let you sleep more comfortable at night. 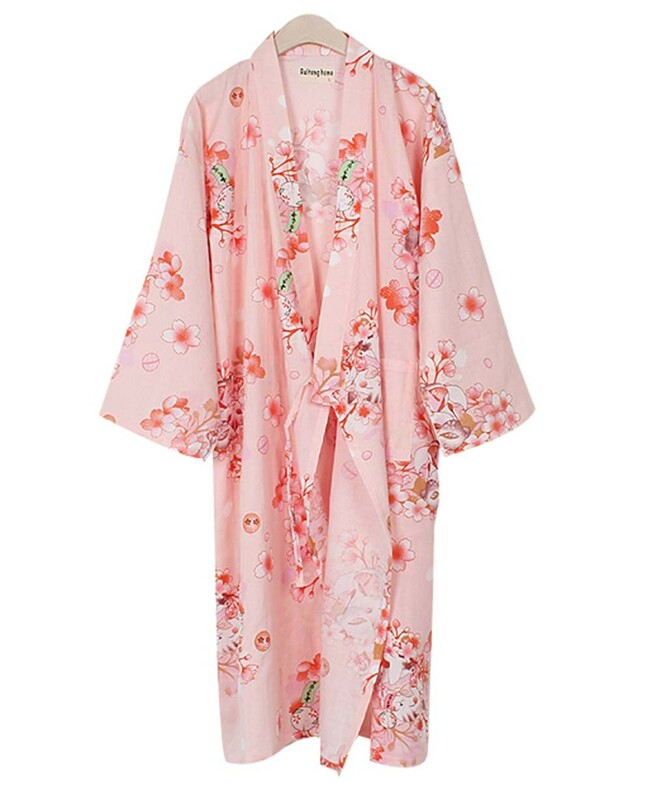 This pajamas fabric soft,as a bathrobe home clothes, pajamas, sweat steaming clothes, beautiful and comfortable. Fashion patterned designed,is perfect sleepwear of women.